I have two sons. The older one is almost six and the younger one just turned three. I’m both fascinated and frustrated by how they can react entirely differently to a food based on how it’s presented. Serve up some grapes that have been plucked off the stem, washed, and placed in a bowl for ultimate ease of consumption? Yawn. Serve a full bunch of grapes, requiring the boys to remove the grapes from the stem with their fingers and . . . AMAZING! It’s the exact same food! Only to them, it’s not. So what does this have to do with children’s books? Format! I’ve long been obsessed with format and the various ways of presenting a topic. There are lots of great potential topics for children’s books. Bajillions, really. But what makes a topic compelling for kids? Format is a big part of it. For the Millbrook imprint, I like to see formats that are funny, unexpected, playful, or even a little bit weird. Just as my boys get excited about grapes served in a way that requires them to do a little more “work,” sometimes I think a book format that surprises readers or forces them to work in some way to engage with the text can ultimately make for a more satisfying read. The following recent and forthcoming picture books all play with format in one way or another. 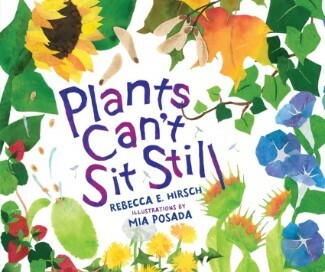 Rebecca E. Hirsch’s Plants Can’t Sit Still is surprising from the title itself–how could it possibly be true that plants can’t sit still? The rhythmic, bouncy text and bright art show readers just how much plants really do move. 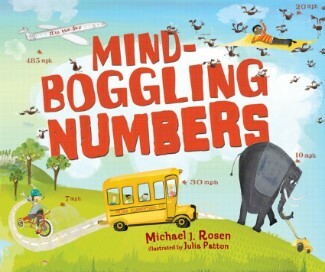 In Mind-Boggling Numbers, Michael J. Rosen showcases a dozen wacky math questions (If you could hike to the moon, how long would it take?) and provides answers that are both funny and informative. 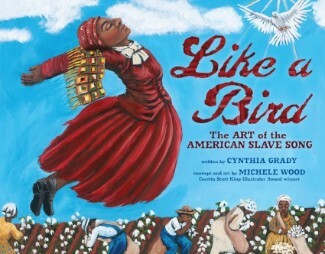 Like a Bird explores the experiences of enslaved African Americans through the lens of spirituals, bringing together music, text by Cynthia Grady, and artwork by Michele Wood. Great blog post, Carol. 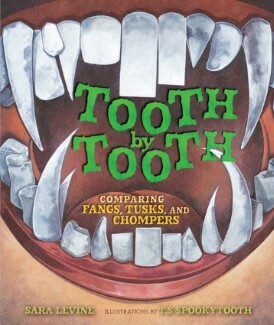 I will order these books from the library to continue my education on picture books. MILLBROOK/LERNER/HINZ POWER! Interesting! Thank you for sharing. It makes me think what new format could I present?